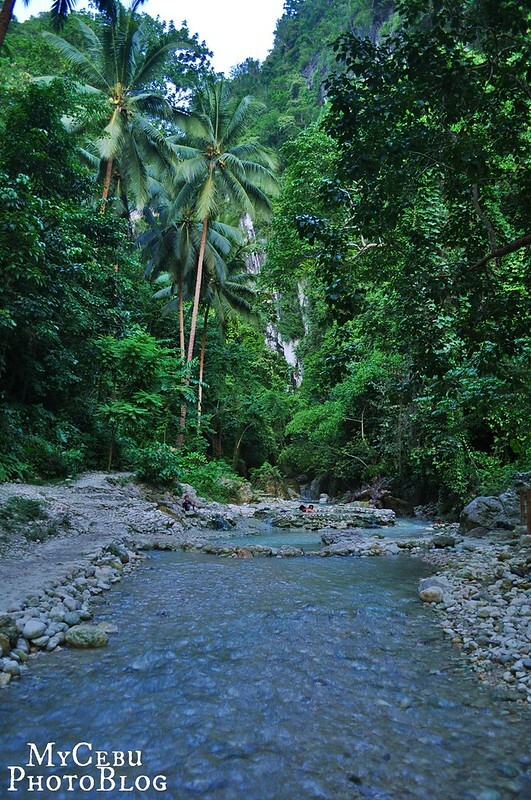 Let’s take a quick break from all the wonderful cold springs and waterfalls of Cebu. 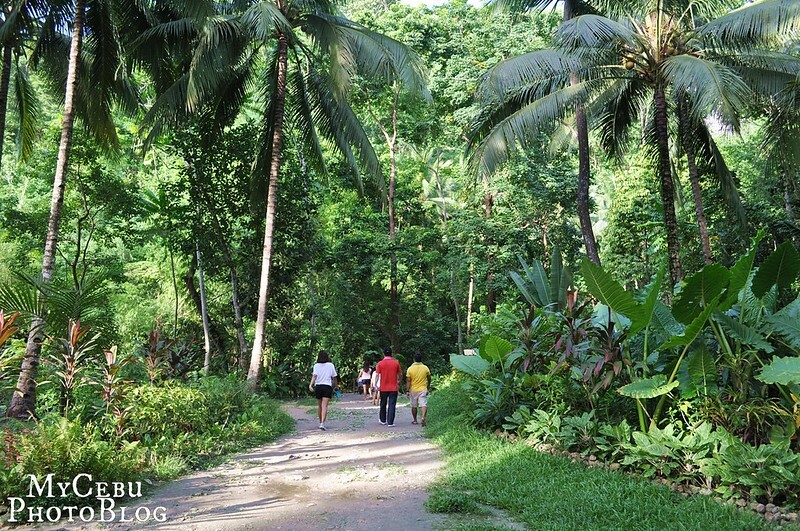 Today, let’s talk about a truly awesome natural tourist spot in Cebu we Cebuanos should definitely be proud of. Ladies and gentlemen, let’s take a look at Malabuyoc’s beautiful Mainit Springs. 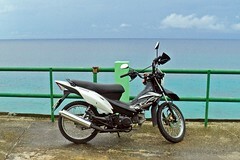 The town of Malabuyoc is located some four hours from Cebu City. If you’re traveling from the City of Carcar, you’d have to pass through 7 municipalities (Barili – Dumanjug – Ronda – Alcantara – Moalboal – Badian – Alegria) before you reach Malabuyoc. As soon as you reach the town limits, reduce speed to make sure that you don’t miss the small road-side sign. The sign can be seen just a few meters from the bridge in Barangay Montañeza. From the main road, turn left and just follow the signs. Keep driving for at least 3 minutes until you see a parking lot and a small wooden gate where you are required to pay the entrance fee. If you’re bringing your grandparents or really young kids, there’s nothing to worry. The springs are approximately only 50 steps from the reception center. 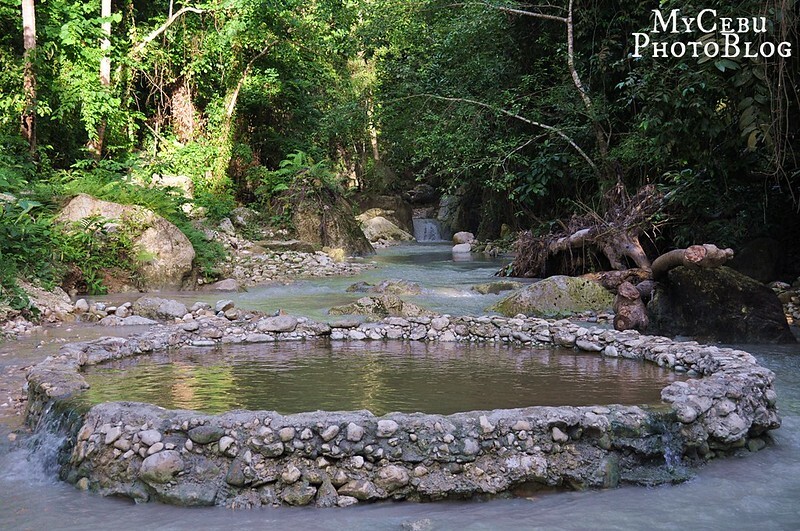 First look at the Mainit Springs of Malabuyoc. 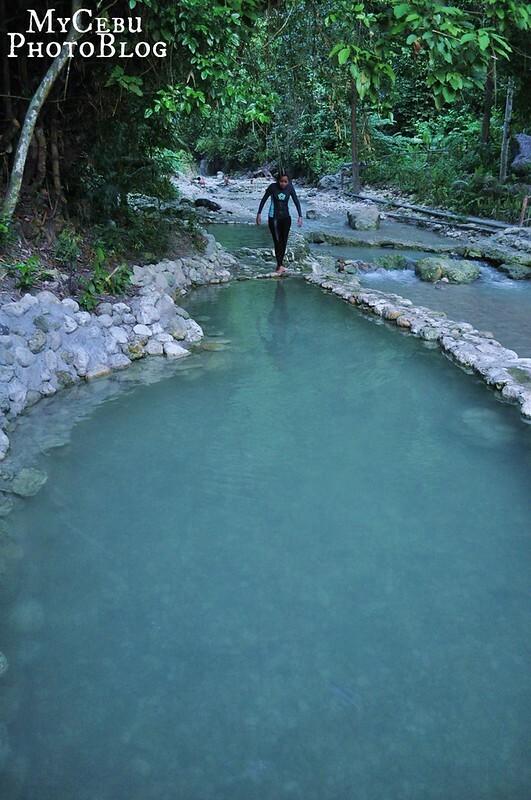 To get to the springs, you’d have to cross a small river. A few meters from the first two springs, you can see the other two springs. 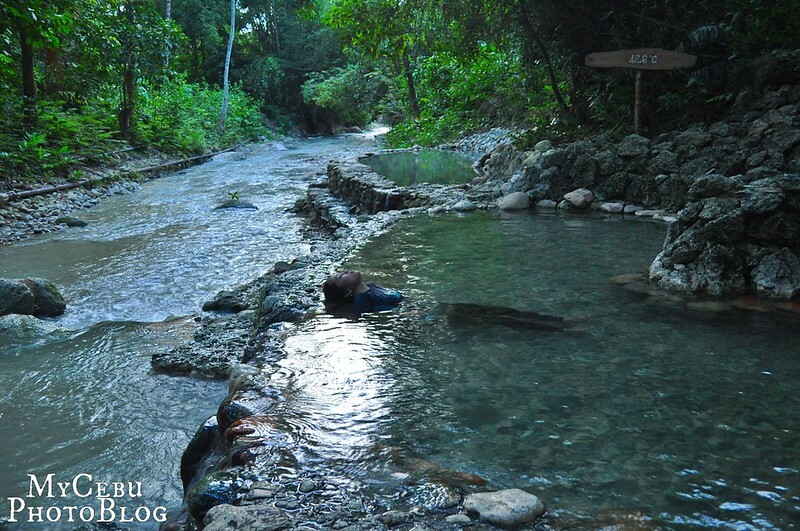 The temperature of the four hot springs range from 35.8°C to 42.6°C. This fourth pool is situated right in the middle of the river. View of the river and the first two pools. Now, the pools are usually stuffed with people during the regular visiting hours. If you want to truly enjoy the pools, I suggest that you stay until it gets dark. People usually leave around 4 or 5 pm, most especially the out-of-towners. Now, let’s talk about just how hot the water is. If you have low heat tolerance, I’m sure you wouldn’t be able to handle 42.6°C. I swear I couldn’t last 3 seconds in pool #1. But I noticed that foreign visitors – Koreans and Japanese, most especially – don’t really mind the heat. According to the locals, the hot pools have therapeutic effects on the skin, the nervous system, and other vital organs. 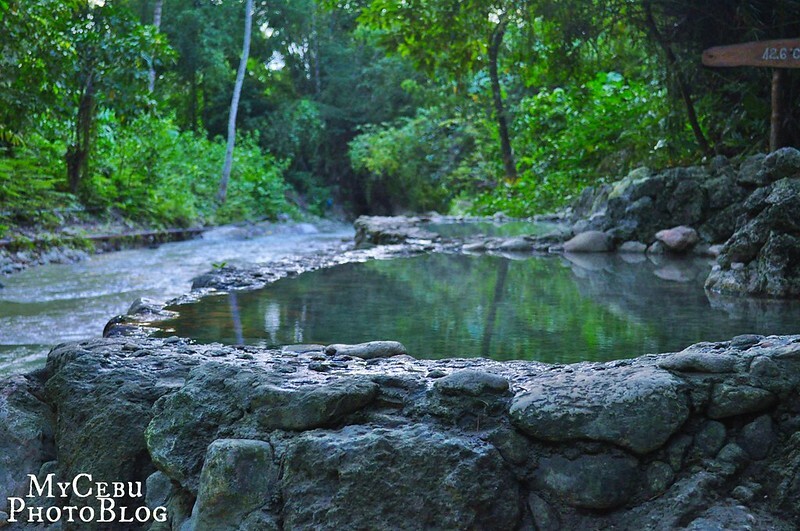 It is also believed that bathing in hot springs can kill harmful germs as well as eliminate toxins from the body. If you want, a few locals offer simple body massages while you’re in the pools for a minimal fee. 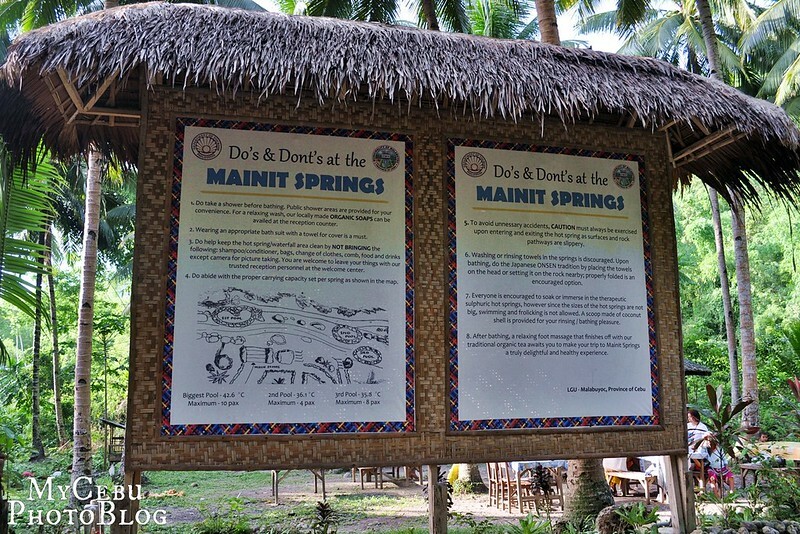 Have you been to Malabuyoc’s Mainit Springs? Tell us about your experience! 1. Get on a Bato via Barili Bus at the South Bus Terminal. 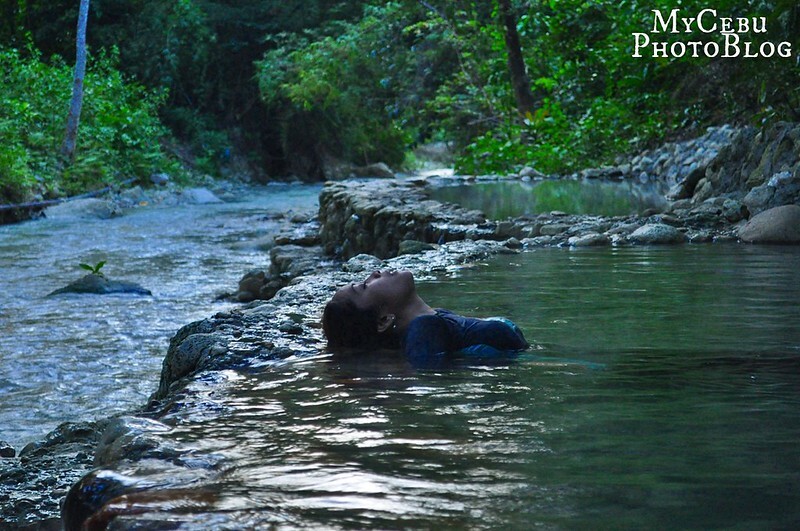 Tell the driver or the conductor to drop you off at Mainit Spring in Montañeza, Malabuyoc. 2. When you reach Montañeza, you can take a tricycle or a habal-habal to reach the reception center. 3. You should be at the reception center in around 5 minutes. 4. Pay PhP20 (entrance fee) at the registration and ticketing booth. 5. Enjoy the Mainit Spring! 1. Drive all the way to the town of Malabuyoc. 2. 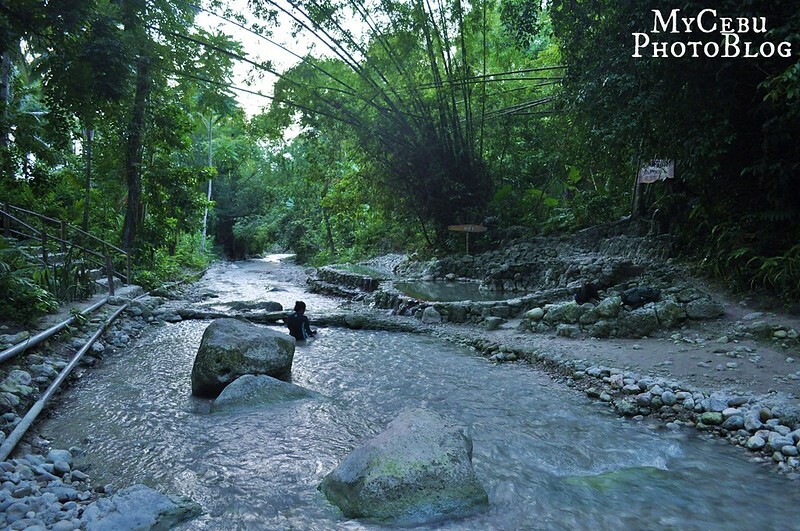 As soon as you enter Malabuyoc town limits, keep an eye out for a small green (concrete) road-side sign that welcomes you to Mainit Spring. 3. Turn left and keep driving straight until you reach the reception center. The drive from the main road to the reception center should not be more than 10 minutes. 4. Pay the PhP 20 entrance fee. 6. Be sure to obey all community rules and guidelines. 7. Enjoy the Mainit Spring! wow great photos. I’ve been here but I cannot capture photos as good as yours. two thumbs up!! Paytera sa mga shots oi! Hi. Kinsa pd macontact dri pra sa pgad2? Naa dw lang kastayan dad2? Salamat sa mureply. Confirmed. 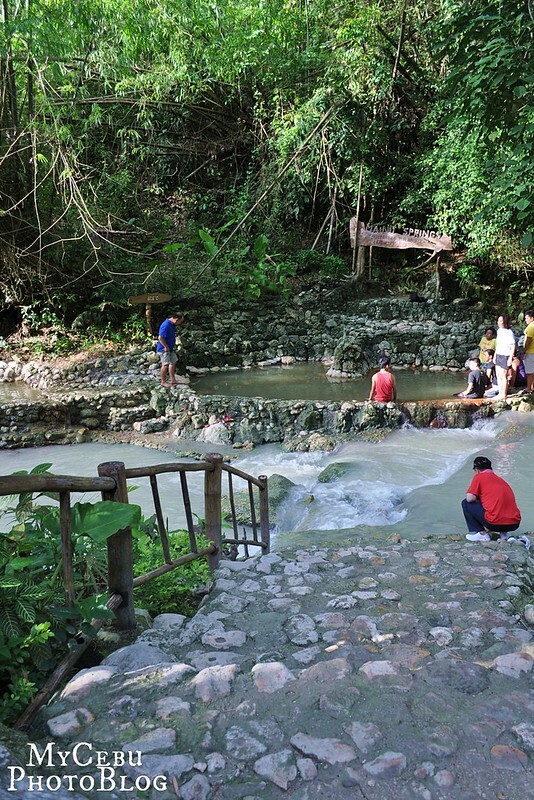 Mainit Hot Spring was destroyed by the Mayor of Malabuyoc due to people fighting over parking area. 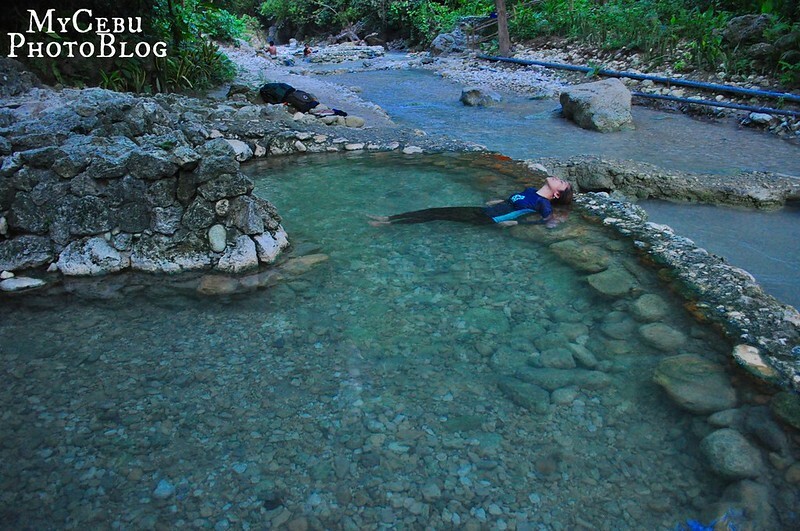 This is not good because it is one of most active and beautiful hot spring I saw in my entie life. What do you think guys? Does mayor wasting money since it was the taxes built to make the Mainit more welcoming to both local and foreign tourists.. They said mainit earned approximately 100k/monthly. Hi is this true? So meaning the said hot spring are no longer available?